On October 10, 2018 the Trump Administration proposed drastically expanding the definition of who constitutes a “public charge” through a proposed rule in the Federal Register. Such a change would have a detrimental impact on the health and wellbeing of millions of individuals and families. 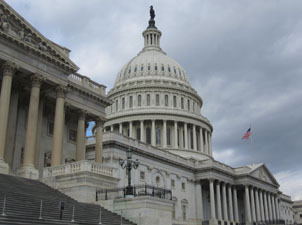 If approved, it would set a wealth test for those seeking to become lawful permanent residents (LPR or green card holders), to extend or change the category of a nonimmigrant visa, or to bring family members to the U.S. During this term in Congress, the Trump Administration has urged Members to pass legislation cut the family based immigration system and to shift to a merit based system. Having failed to persuade Congress to much such a change, the Administration is now proposing to change the rules which will in practice limit legal immigration to US to those who are wealthy, well connected and well-educated. D.H.S. is also considering adding the Children’s Health Insurance Program to the list. Further, under this rule, having income below 125 percent of the federal poverty level, or $25,975 for a family of three, would also be counted against an applicant. A full third of all previous applicants had an income below this level. D.H.S. would also consider age, health, family status, assets, education and skills when determining whether an immigrant would become a public charge and certain characteristics would be deemed “negative factors,” or as indicators that the immigrant could become a public charge. Children, for example, start out with a negative mark because they don’t work. If an immigrant has a medical condition, that will make it harder to become a lawful permanent resident. Preferencing the wealthy and failing to consider the tremendous gifts all immigrants bring to our communities is wrong. The consequences of this proposed rule would be felt directly by those applying as well as U.S. citizen children: parents of U.S. citizen children could perceive they must choose between depriving their children of critical public health and safety programs or jeopardize their own immigration status. This is a painful and impossible decision. Both outcomes have devastating consequences for the wellbeing of children and families in America as one quarter of children in this country have at least one immigrant parent, and 90 percent of those children were born in the U.S. This is not a theoretical assertion. The last time the United States made changes to the public charge rule, as part of the welfare reform effort in 1996, it instilled so much fear in communities that it led to significant drops in the use of programs critical to families. Even populations who were exempt from the public charge, like refugees and victims of trafficking, stopped using critical benefits that provided the support necessary for their families to become stable and healthy. The use of a temporary assistance program known as TANF, for example, fell 78% among the refugee population despite the fact that refugees were not subject to the public charge test. The current proposed rule would similarly instill great fear in our communities across the country. Finally, it is clear that the faith community and others who provide human needs services to those struggling in poverty will not be able to meet the needs of those impacted by this rule. For example, Catholic Charities serves 1 in 9 individuals in need of food assistance in the United States. If the federal government implements the proposed changes, Catholic Charities would absorb an estimated $24 million in services that would no longer be covered. We can all work to defeat this rule. Stay tuned for more resources and an upcoming action alert from NETWORK for how you can make a difference! This entry was posted in Budget, Front Page, Immigration, Policy Update, Racism on October 24, 2018 by ashley.